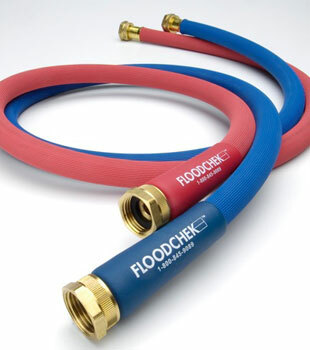 FloodChek® Washing Machine Hoses are industrial-grade, triple-ply washer hoses that are equipped with corrosion-resistant machined brass end connections. 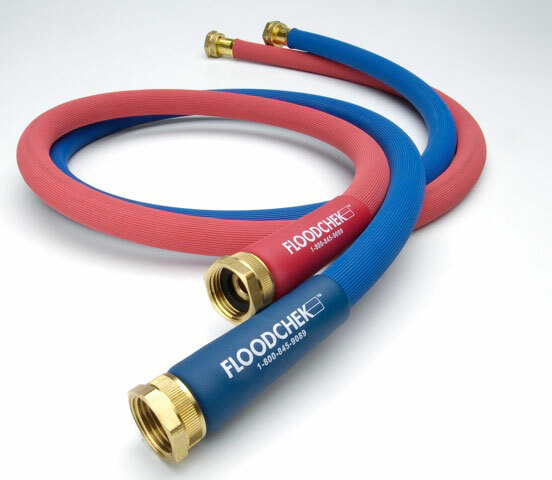 These heavy duty hoses are provided with a 20-year manufacturer's warranty (one that no homeowner has ever needed to use), ensuring you peace of mind. If you're planning on making the investment to waterproof your basement, you'll certainly want to take this small, inexpensive step to protect your home from flooding. Bursting washer hoses can release as much as 500 gallons of water into your home continuously. How much water would that be if you were at work or on vacation when the flooding began? 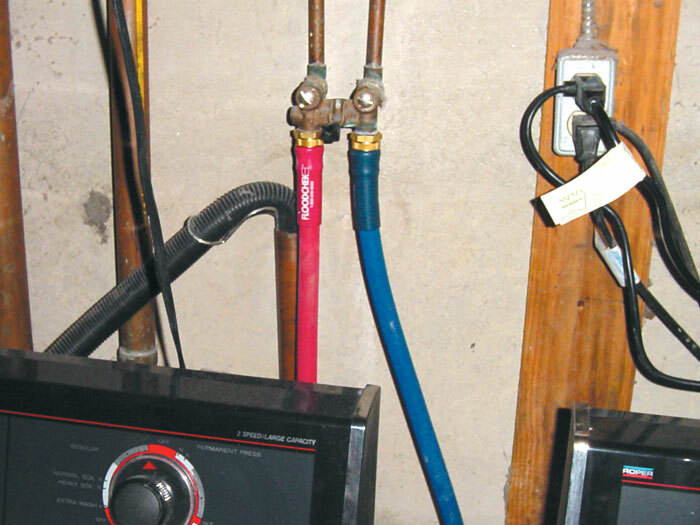 Your washer hoses are the only thing standing between you and a potentially severe flood in your basement! Be sure to take this small step to protect yourself! To schedule a free, no-obligation basement waterproofing quote for these and other products, contact us by phone or e-mail today! Our Certified Waterproofing Specialists serve throughout Canada, the United States, and the United Kingdom -- including in your town! 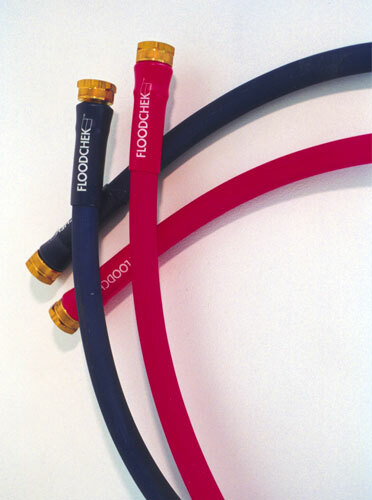 Replace Those Old, Outdated Rubber Hoses! Do you turn the water on and off each time you use your washing machine? If not, you may have a ticking time bomb in your home! Those washer hoses are holding up to a continuous 50psi of pressure -- they're not designed to handle that long-term! Washer hoses are not a place where you want to save money by buying an inferior product. The cost difference between quality washer hoses and old, outdated ones is just a few dollars -- and the investment can save you tens of thousands of dollars worth of damage. Typical washer hoses are designed to last for three to five years -- while typical washing machines last between 10 and 12 years. That sounds like a recipe for disaster to us! At Basement Systems, we hear about (and see) this kind of problem all the time! 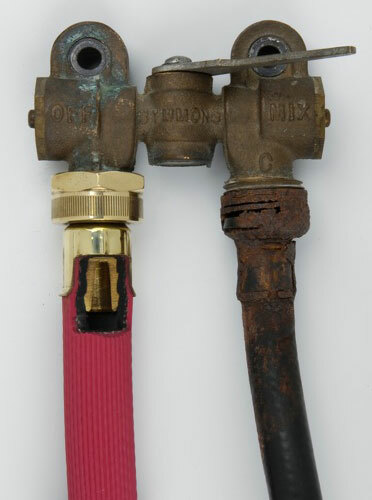 In one extreme case, a washer hose burst in a home while a couple was out on vacation. By the time they returned home, the water level had risen so high that it was, literally, up to the windows! It's not uncommon for homeowners to experience damage reaching in the tens of thousands of dollars -- all caused by serious flood damage related to bursting washer hoses! 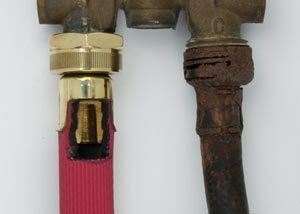 While it's not practical to try to protect yourself from leaking from every pipe, sink, toilet, shower stall, bath tub, and hose in the home, there are a few simple precautions you can make that will protect you from home plumbing issues and have a major impact in your home. Replacing your washer hoses is the easiest and lease expensive. For more information about keeping your basement dry, including how our experts can customize a basement waterproofing system for your home, contact us today! We'll connect you with your local, Certified Basement Dealer who will schedule an appointment for a free basement waterproofing quote! All free quotes are provided at no obligation, and include an on-site inspection and measurement. We'll provide a professional consultation, where we answer all your questions and provide you with a written quote for proposed work. Before our visit, you'll also receive a mailed copy of our full-color basement waterproofing book as a complimentary gift.